Ester Faeing came to India in 1915. Source: missionær-Album, 1919. I was delighted to have your note from Bombay.13 I assure you that we miss you both very much. You were hardly guests to us; you had become members of the family. Hope Miss Peterson is quite herself again. I redirected a batch of letters yesterday and am doing likewise today. 13 The note is not available. Miss Faering and Miss Petersen arrived at the ashram on January 6, 1917. This note must have been sent soon after they left. I was pleased to receive your nice letter and hear that Miss Petersen had thrown off her cold entirely. I am glad you found peace in the ashram. Yes, both of you we regard as members of the family. You will come whenever you wish to and can. Ramdas14 is a noble boy. He is the one going to South Africa.15 I feel sure that he will give a good account of himself there. By way of preparation he has been attending a printing press here, practising at the compositors desk. I have learnt enough of you to know that you will put your whole heart into your studies and soon be talking enough Tamil for your purpose. Pray keep the rules16 as long as you like. There is no occasion to hurry over sending them. I have an English lady friend17 and her sisters children who during the hot weather are to live at some hillside place. You are going to some such place. Could you befriend them if they went to the same station as you? Of course they will bear their own expenses. The thing wanted is good companionship. And I thought of you. If you will befriend them, will you please tell me where you would go, when you would leave, where you would stay and whether they could reside and board at the same place as you will? You will also please give me an idea of the expenses there. You have heard of Mr. Polak. The friend is his sister-in-law. While Mr. and Mrs. Polak travel on public business, they are anxious to locate their children in some hillside place where Mr. Polaks sister-in-law could find suitable company. She is a stranger to India. the wire will reach me. See also Graham Polak, Millie: Mr. Gandhi : The Man. London, 1931. I am putting you to a lot of trouble on behalf of Mrs. Polaks sister. But you have chosen the privilege of letting me be your brother. And I have the credit for being most exacting of those who are nearest and dearest to me. Having made the choice, you must be content to suffer. Miss Graham, that is the sisters name, may be able at once to go to Ooty.18 It is necessary for her and young Polak to be on a hillside without delay. I much fear that I shall not be able to go to Madras in April. If I am able to do so at all this year, it will be after your descent from the hills. Your sweet letter has followed me all the way here. I am almost at the base of the Himalayas. I am studying the condition of the people working under the indigo planters. My work is most difficult. My trust is in God. We can but work and then be careful for nothing. Pray do not worry about Miss Graham. She has been fixed up at Ooty. You may address me as Bapu19 if you like. It means father. In the ashram it has become a term of endearment. I value your affection very much indeed. You may continue to use the Ahmedabad address. In the last night in my old year, I got your letter, and I wish that love and truth may become very real factors in my New Year. And today, when I look back on the past year, my heart is filled with thanks for God's manyfold gifts to me, but most of all I thank Him, because He sent me to the ashram; amongst all the gifts and joys the past year brought me, this is the greatest, and next to God I thank you Bapu for all, what it means to me, that I may have a home and find friends in the ashram. Last night, when I had a great sorrow my friend Miss Elise (we have been together nearly always) said: "I do wish I could make you happy and see you glad tomorrow on your birthday, and I really know only one way to make you glad, and that is, if I could send you to the ashram, and that is impossible." Will those few lines shall only tell, that I do share the ashram's joy in having you back, even it is only for a short time, may it be a time of rest and joy and give strength for the coming work. 15 Manilal Gandhi and Ramdas Gandhi, the second and third sons of Gandhi, went to South Africa early in 1917 to serve the Indian community. 16 "Draft Constitution for the Ashram" containing rules drawn up for the inmates of the ashram in 1915. Collected Works, Volume 13, pages 91-98. 17 Miss Cecilia Graham, sister-in-law of H.S.L. Polak, a close associate of Gandhi in South Africa. Mr. and Mrs. Polak were in India in 1917 and helped in the campaign to prohibit export of indentured labour from India. 18 Oatacamund, a hill station in South India. 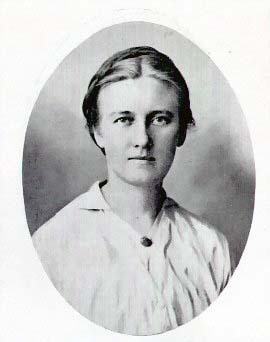 Gandhi sent Miss Graham there on April 6 with one of the inmates of the ashram. 19 Bapu (bapuji, bapujee) means father. Gandhi was addressed as bapu by members of the ashram.